A KeySafe is a strong mechanical metal box that securely stores the key to your door inside. 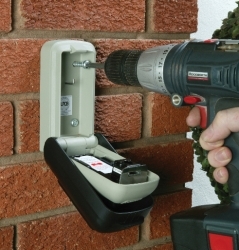 It is installed into brick or concrete and your keys are accessed by a combination code. This code is easy to set and can be changed, when appropriate, to maintain security. 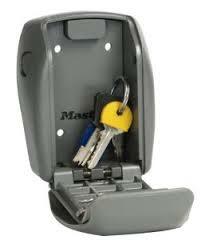 Be-Safe offer a professional, experienced and Approved Keysafe fitting service.